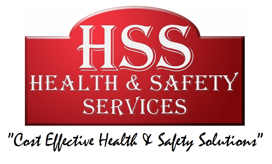 The service that Roland and Martyn at HSS Health and Safety Services provided our company Roofwise, is second to none. We now hove them on a retainer scheme and they carry out all our Health and Safety training as well as providing on-site support. We cannot rate them highly enough. Roland, Firstly many thanks for the first class job you and Martyn carried out at the Corby Project. All aspects of the works were completed with speed and with a high level of professionalism. I have already advised our health and safety manager that I wish to use yourselves in the future where costs and contract terms permit. Great news with the Exor accreditation, we were ranked far higher than we thought we would be. Credit to Martyn at HSS Health and Safety Services for his help during this process, during which he suffered very personal issues. Thanks to HSS Health and Safety Services. As usual great service. Thank you to Roland & Martyn at HSS Health and Safety Services. Excellent service within a tight timeframe. We really appreciate all your hard efforts throughout the last few weeks. We would not go anywhere else. Thank you guys!